The early years of care and learning are recognised as crucial for ongoing educational success and future participation in society. Early childhood professionals need specialist preparation to understand and effectively support early years learners. Teaching Early Years offers a systematic, research-based introduction to educating children from birth to eight years. Leading educators identify the key priorities in early years education and cover developmental issues, curriculum, pedagogy and assessment. Each chapter concludes with questions that guide reflection of the concepts developed in the chapter. 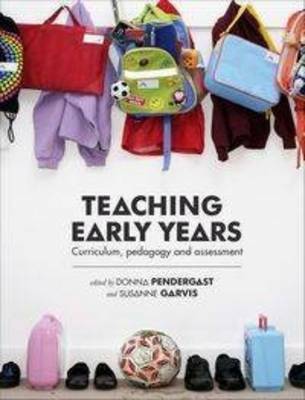 Written for early childhood education students, childcare workers and education leaders, Teaching Early Years is an essential resource for anyone involved in caring for and educating early years learners.